Home Blog Way To Go Lady Rams! Way To Go Lady Rams! On June 1, 2015, I returned to my alma mater, Palm Beach Lakes High School, to give a gift to some very special, talented, and hard working young women. The Lady Rams won their first state championship in the school’s history. 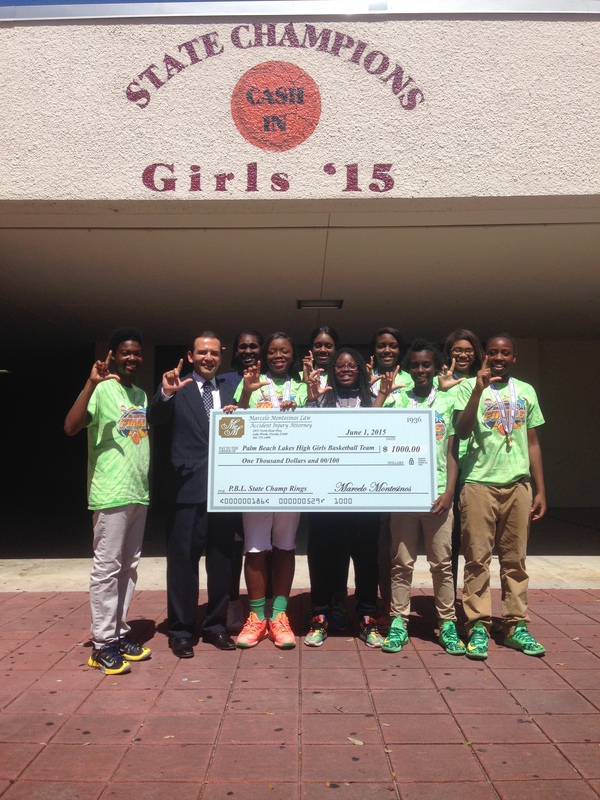 It was an honor presenting the Lady Rams with a check that contributed to purchasing their championship rings. It was great being back on campus and visiting with old friends and new friends that care so much about the success of these players and the other students who attend Palm Beach Lakes High School. With 8 of the players graduating right after the win, Coach Cassandra Rahming has reloaded and is still confident and ready for another successful basketball season! Based out of South Florida, in Palm Beach County, my legal practice represents individuals and families who have suffered severe, permanent, and catastrophic injuries or death due to the negligence or malpractice of others.